Ardmore, PA (February 1, 2019) – When was the last time you saw a floppy disk? The I-95 Corridor Coalition, founded in 1993, is an alliance of transportation-related agencies, from Maine to Florida, with affiliate members in Canada. The Coalition members discuss and address transportation management and operations issues of common interest. 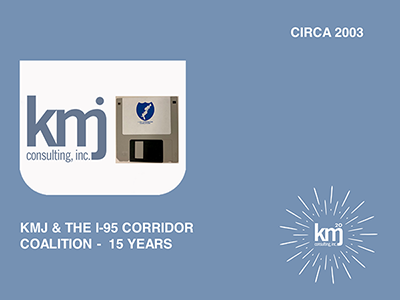 KMJ provides technical and logistics support to the Coalition and its members.